The goal of this project was to simply take the improvisational act at the core of skateboarding, finding a line through physical space, and apply it to the process of transforming a community space, and create a lasting footprint. 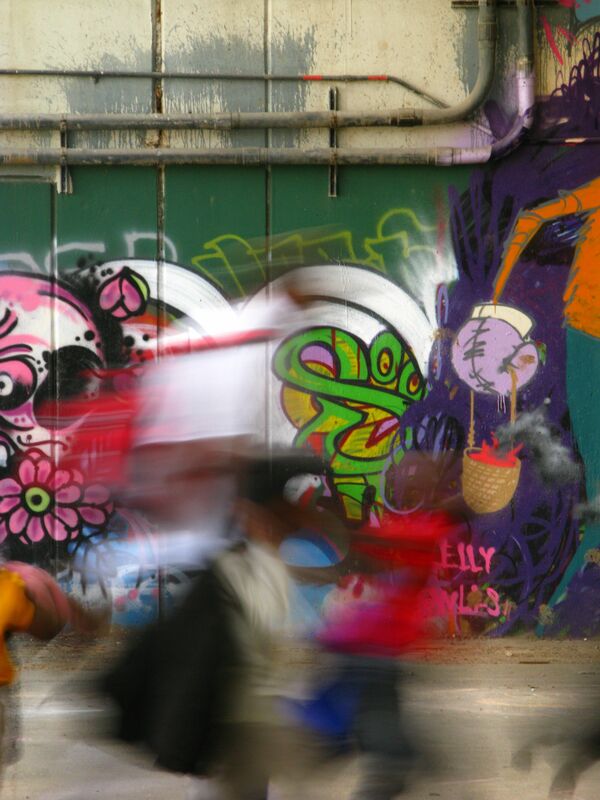 The site, located under the I-695 freeway in the DC Capital Hill neighborhood, is a complex high-low socioeconomic mash-up zone that cycles rhythmically from action to a calm-before-the-storm vibe. Finding a Line began in January 2012. Selected by curator Laura Roulet, for the DC Commission on the Arts and Humanities’ temporary public art project, 5×5, twenty-five national/international art installations installed throughout the District of Columbia, March – April 2012, and coincided with the Centennial National Cherry Blossom Festival. Beginning with and sustaining a steady work ethic, we set a tone of stewardship by removing trash from the site, fixing what was broken, building, documenting, gardening, skating, sharing, and shaking hands. We began to link a diverse network of local officials, skaters, parents, dj’s, kids, construction and office workers, and the homeless. 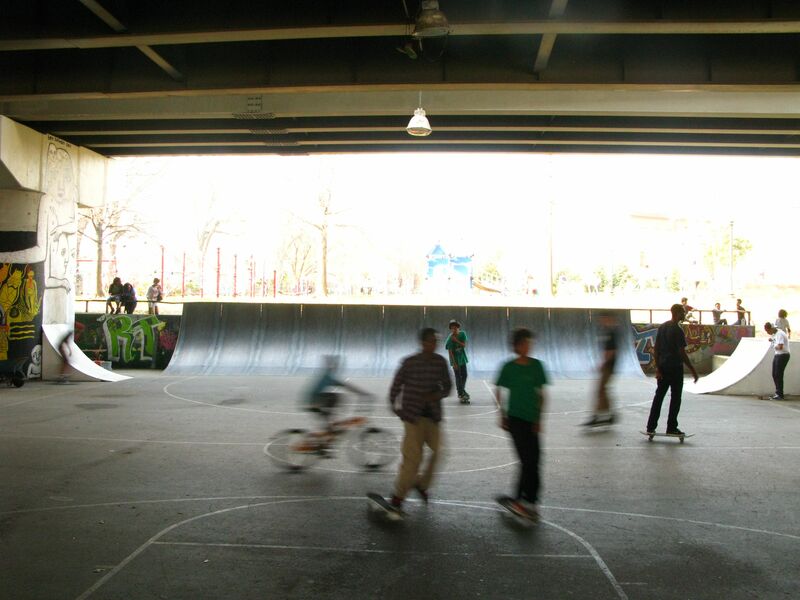 As we developed the Finding a Line project we created opportunities for actions + engagement, and began to transform a large neglected raw area under the I-695 Southeast Freeway in Washington DC into an active skate-able social and creative space. This project is ongoing. We have begun to empower the community with stewardship of the site for community and civic imaginative possibilities. We believe that working within the boundary margins of communities, shoulder to shoulder, lies the potential of a tangible, creative, meaningful, humane, and communicative form. We aim to catch lighting-in-a-bottle for all involved.